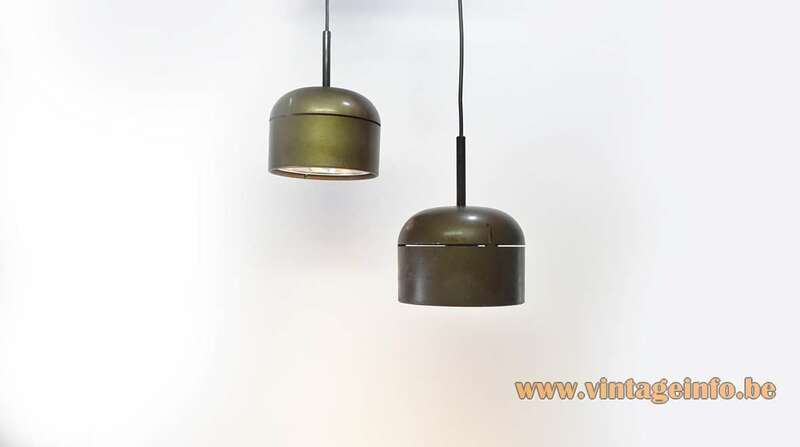 Materials: Round brown metallic painted plastic lampshade. Hexagonal round perforated design on top. Chromed metal mirror/reflector. Porcelain socket. Electricity: 1 bulbs E27, 1 x 100 watt maximum, 110/220 volt. 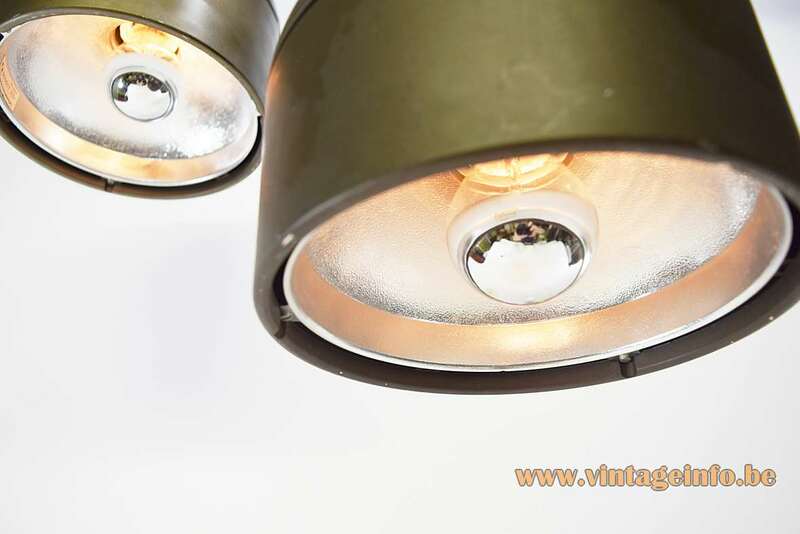 Any type of light bulb can be used, but a silver bowl/cup light bulb is recommended. Designer: A. Berges (no information to be found about the designer). 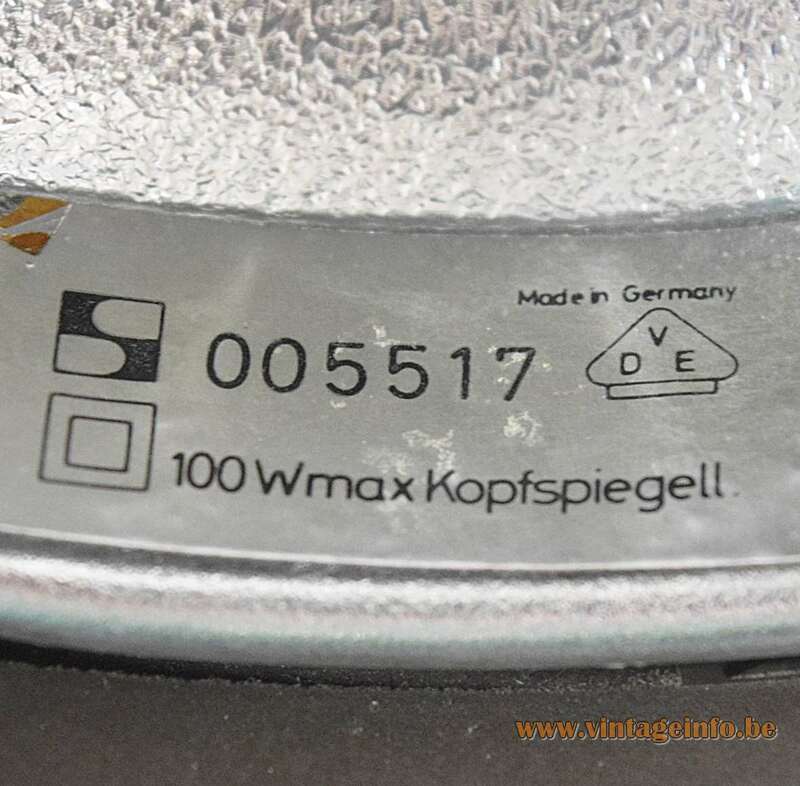 Manufacturer: Staff & Schwarz Leuchtenwerke GMBH, Lemgo, Germany. Other versions: Made in several sizes and colours. 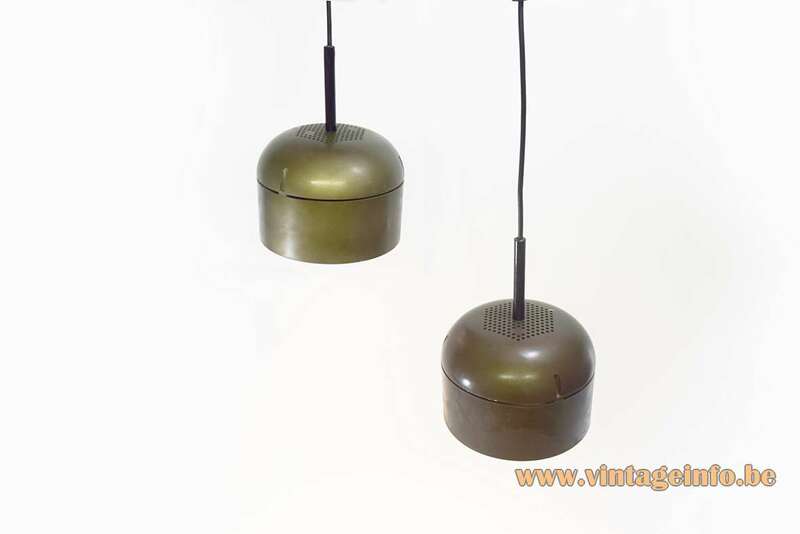 Also made as a wall lamp, spotlight, spotlight on rail, table lamp, floor lamp. 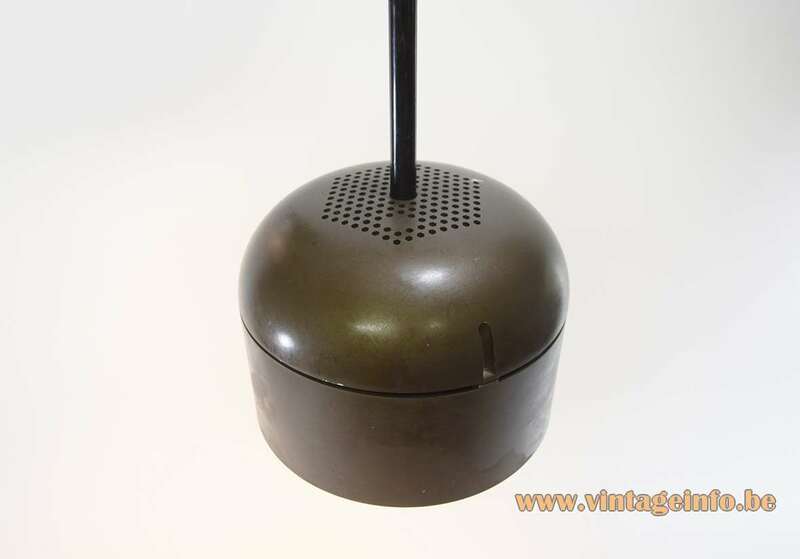 Model number: 5517 – 100 watt. 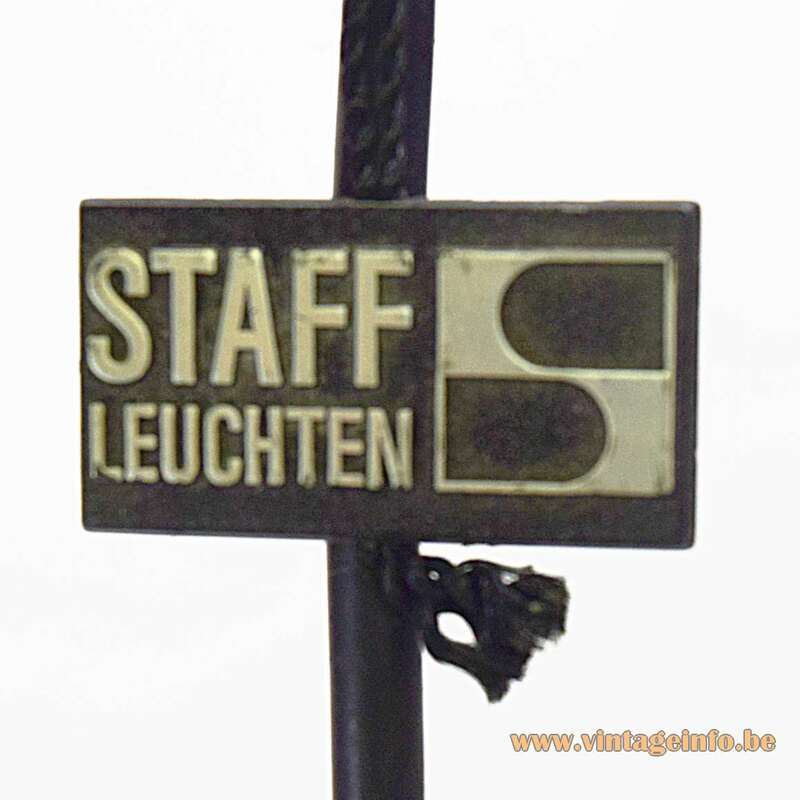 Staff – Staff & Schwarz Leuchtenwerk (lighting plant) – was established by Alfred Staff and Otto Schwarz in Lemgo, (West) Germany in 1945. Their business started as a shop for consumer goods in wood and metal as well as pesticide for controlling the Colorado potato beetle, a huge problem at that time. 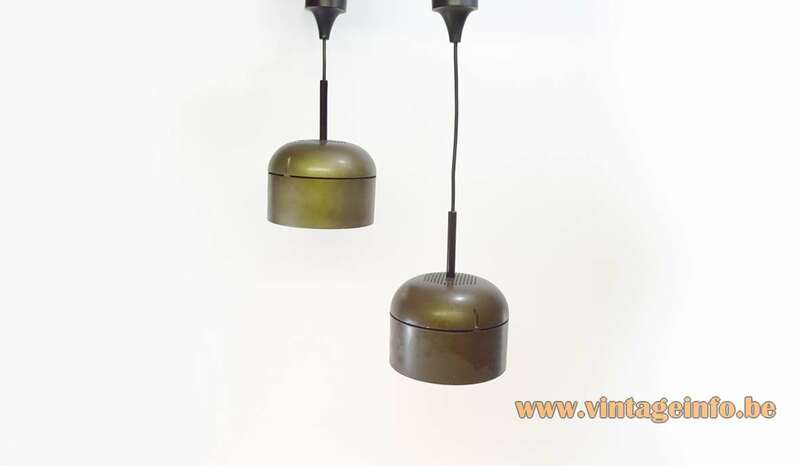 Within a year they the company expanded with 15 employees and they were producing the first wrought iron luminaires. Over the next three decades, Staff was to develop into a world leader in design excellence, receiving over 200 awards for its achievements. 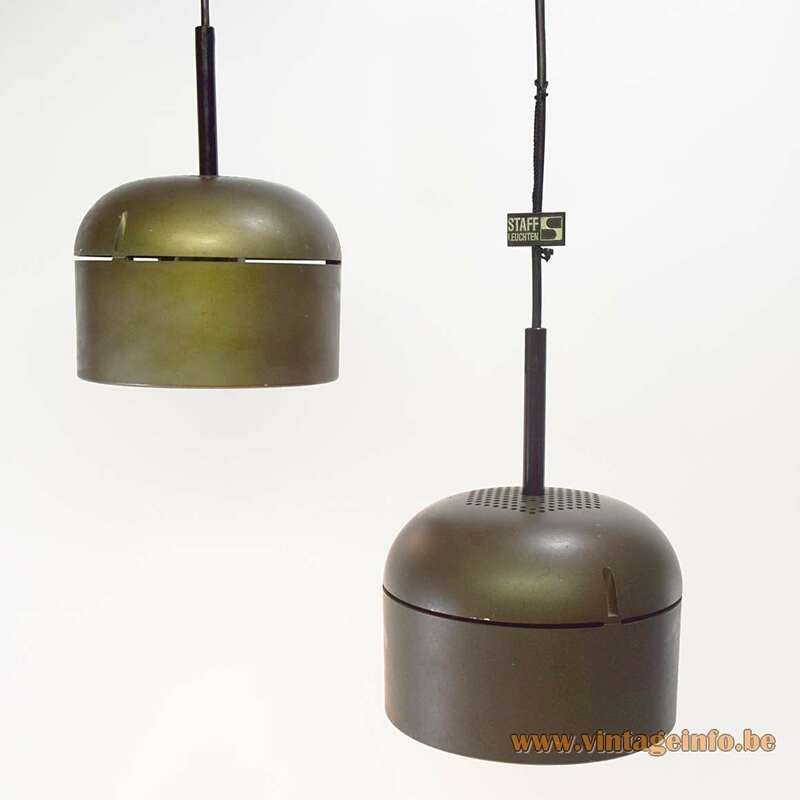 Staff also produced lamps for other companies such as Stilnovo (Italy) and Lyfa (Denmark). In 1994 Zumtobel bought the company. 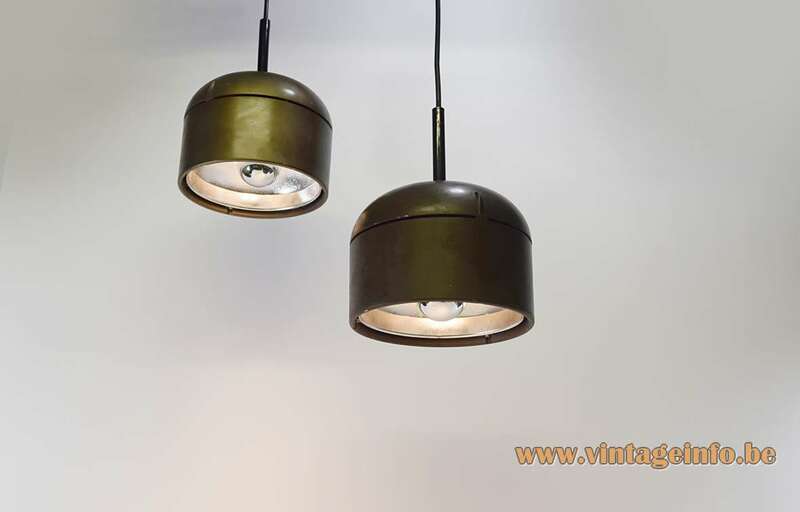 iF Design Awards for this type of lights can be found here on the iF Design website: model 5508, model 5509, model 5518, model 5519.